We are having some warm days here in Southern California. I am not happy about it either. I much prefer cooler weather. But when it’s hot like this, there is nothing that I like better than iced tea. A big glass of it, with lots of ice. 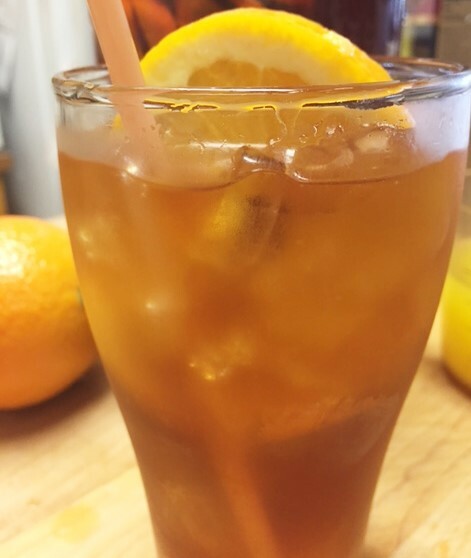 Come to think of it, I love iced tea anytime…..cold weather, hot weather, I love the stuff. I usually don’t like flavored teas though. But I love orange iced tea. Have you ever tried it? No? Well, I highly recommend it. 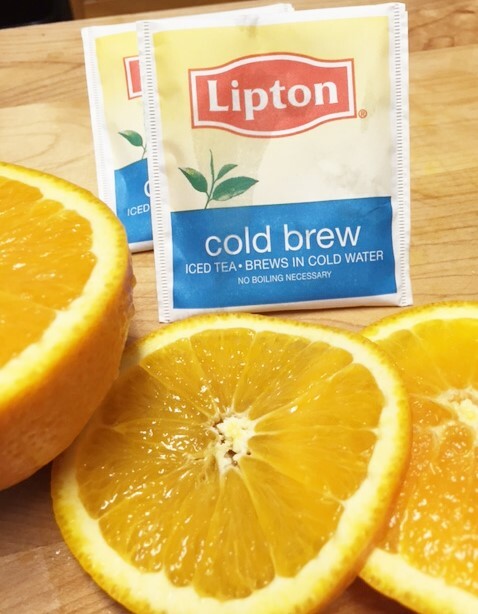 It’s refreshing and you get the sweetness of the orange, so you don’t even have to add any sweetener to it. But if you like your tea sweet, you can make some orange simple syrup. Holy moly it’s good stuff. So, summer is here, it’s getting hot and iced tea is the perfect summer time thirst quencher. You will be making pitcher after pitcher of this stuff. 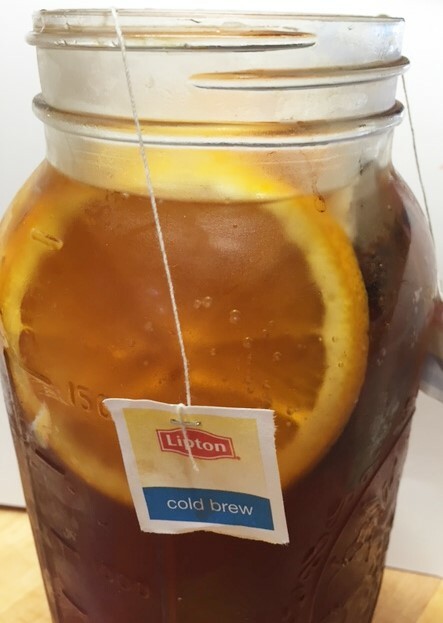 ** If you don’t have cold brew tea bags, you can use 6 regular tea bags and let the tea steep in 8 cups of hot water until the tea is as strong as you like it. Then add your orange slices. In a medium sized sauce pan, add the water, orange juice, orange zest and sugar. Heat just long enough for the sugar to dissolve. Allow to sit out and come to room temperature. Pour it through a strainer, into a container. 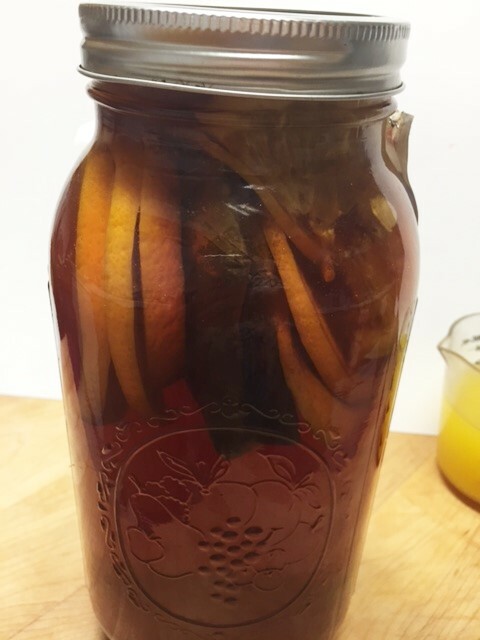 If you don’t mind the bits of zest, you don’t have to pour it through a strainer. Keep refrigerated. Use it to sweeten your iced tea and many other beverages.